Once complete, the project will produce approximately 444 million kWh of electricity a year, which will be enough to power 84,000 homes. Image: courtesy of Siemens. Siemens will install SWT-3.0-101 turbines at Galway Wind Park. Image: courtesy of Siemens. The wind park will integrate four permitted wind farms, which are Galway Cloosh, Lettercraffroe, Seecon and Uggool. Image: courtesy of SSE. The 169MW Galway Wind Park, under development in Cloosh Valley, County Galway, Ireland, will be Ireland’s biggest onshore wind farm. When fully operational in 2017, the project will produce approximately 444 million kWh of electricity a year to power 84,000 homes, while meeting 90% of household power consumption in County Galway. The wind park will offset approximately 190,000t of harmful CO2 emissions produced by fossil fuel-powered plants a year. It will also help the Irish Government to achieve 40% of power generation through renewable sources. The first planning application for the project was approved in August 2004. The project is expected to qualify for the Renewable Energy Feed in Tariff (REFIT) II support scheme. The wind park will be developed in two phases. Phase one will be developed by SSE and phase two by SSE and Coillte. Preconstruction works including ground investigation works, wind farm design finalisation, and evaluation of turbine transportation and cable route options began in 2013. Construction of phase one began in early 2015 and is expected to be completed by early 2017. Phase two construction commenced in January 2016 and is scheduled for completion by mid-2017. The major construction will involve the excavation and construction of hardstands and bases for 69 turbines to be installed along with the construction of five permanent met masts. A new 25km-long access road will be constructed, and 15km-long sections of existing roads and access tracks will be upgraded to facilitate stone haulage from a local quarry. The project will also include an upgrade of the turbine delivery route and installation of grid connection ducting. The wind park will include 69 turbines across a wind farm cluster integrating four permitted wind farms, which are Galway Cloosh, Lettercraffroe, Seecon and Uggool. Phase one will include 64MW capacity from the Uggool and Lettercraffroe farms, while 24 turbines in total will be installed, including 16 at Uggool and eight at Lettercraffroe. Phase two will include the construction of 45 turbines at Cloosh and Seecon wind farms, delivering 105MW capacity. Seecon will accommodate 23 turbines, while the remaining will be built at Cloosh. Siemens will install 22 SWT-3.0-101 D3 direct drive wind turbines under phase one. Each SWT-3.0-101 wind turbine mounted on a tubular steel tower constitutes a horizontal axis rotor, B49 self-supporting blades and a permanent magnet generator to yield high energy efficiency at low operational costs. The three-bladed cantilever rotor is mounted upwind of the tower. Variable speed rotors are designed to deliver maximum aerodynamic efficiency. "The wind park will offset approximately 190,000t of harmful CO2 emissions produced by fossil fuel-powered plants a year." An underground connection to the EirGrid 110/38kV electricity substation at Letter, northwest of Moycullen is being planned for the transmission of electricity generated by the Galway Wind Park. An underground 110kV double-circuit cable will connect the new substation with the existing Salthill Screebe (110kV) overhead line and the Galway 110kV substation at Ballybrit. Phase one will be solely financed and owned by SSE. Coillte and SSE formed a joint venture for securing finances for phase two. Coillte and SSE made a project finance agreement with three mandated lead arranger (MLA) banks, which are BBVA, Cooperatieve Rabobank and NORD/LB. Under the agreement, each bank will provide 33% of the $189m (€176m) financing required for phase two, including the amount for VAT and guarantee facility. Fehily Timoney & Co is the project designer, while Imtech Suir will undertake grid work for phase one. Roadbridge is the main contractor and the project supervisor construction stage (PSCS) for construction of the wind park. 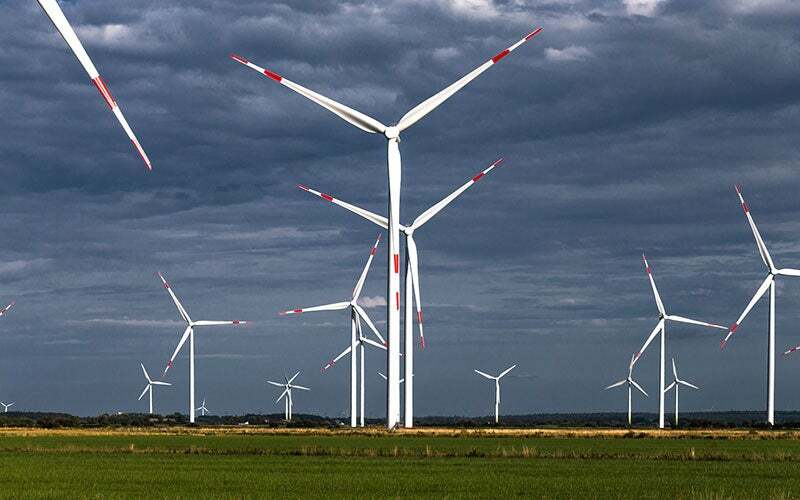 Siemens Wind Power and Renewables Divison was contracted by SSE for the installation and commissioning of 22 D3 direct drive wind turbines for phase one in July 2015. Siemens received another contract for the supply of 36 D3 direct drive wind turbines for phase two in January 2016. Carroll & Meynell designs and manufactures transformers from 20VA panel transformers up to 20MVA power distribution transformers: single phase and three phase. Our customers include those in construction/engineering, transport/traction, mining, offshore/subsea and electrical wholesalers.